What is the Ethics & Policy Integration Centre? The Ethics & Policy Integration Centre (EPIC) is an ethics and policy research effort based on the belief that applying the principles and practices of organizational ethics is an eminently practical part of organizational life. EPIC-online is an online resource intended to stimulate dialogue into the pressing ethical and policy issues of our days. it is EPIC's research and education division. Its consulting division is Strategies for Responsible Business. We believe that leaders who pay attention to the fundamental concerns of organizational ethicsorganizational vision, values, and notions of excellence in communitylead organizations that are at once more effective, efficient, and responsible. Located in Washington, D.C, EPIC is a service of Kenneth W. Johnson. As ideas in management theory and practice emergesuch as systems thinking, appreciative inquiry, consilience, deep ecology, knowledge-value, finding flow, and creative tensionhe analyzes and synthesizes them with the classical ideas of truth, goodness, beauty, and unity to develop the ethical foundations of Organizational Excellence. He offers a unique, challenging approach to leadership applying time-proven principles to develop the rich organizational culture required to deal with global challenges. What questions are we addressing? These are unique and challenging times requiring an understanding that reaches the breadth and depth of organizational life. Who is involved, knowledgeable, and affected? What are their visions, views of reality, and expectations? What is the relationship between the law and the values of the people involved? Which is more important? Is there more than one purpose operating here? What are they? Whose are they? What is the relationship between their visions and their views of current reality? Their purposes, visions, and values? Are they congruent, that is, do they "fit"? These questions that must be asked and answered are the "stuff" of ethics and policy. They are the fabric of our being. Ken has faced these questions in a challenging career, starting with a tour of duty in Vietnam. 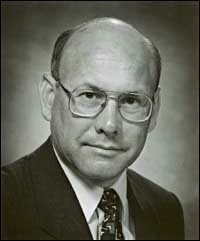 He has since served as an attorney, small businessman, and management consultant. He has worked with military and civilian leaders in Asia, Europe, and the Middle East. In the Gulf War, Colonel Johnson, USMCR, served as the Logistic Plans Officer for the First Marine Expeditionary Force and was the Deputy Assistant Chief of Staff, G-4 of the Marine Expeditionary Force that liberated Kuwait. In May 2004, the U.S. Department of Commerce published a manual for corporate responsibility programs that integrates corporate governance, organizational ethics, and corporate responsibility: Business Ethics: A Manual for Managing a Responsible Business Enterprise in Emerging Market Economies. Mr. Johnson is the principal author. Igor Y. Abramov, Senior Advisor, Market Access and Compliance, International Trade Administration, Department of Commerce, is coauthor. Mr. Johnson received a Master of Arts degree in Ethics & Policy Studies and is a special correspondent to the newsletter, Ethical Management. He has served as a member of the board of advisors of the National Conference on Applied Ethics and an editor of the Arizona Law Review. As a member of the faculty of the University of Phoenix, he has taught ethics, critical thinking, and change management at the graduate level. A decorated Native American veteran (Cherokee), he is a subject of the work The American Indian Warrior Today: Native Americans in Modern U.S. 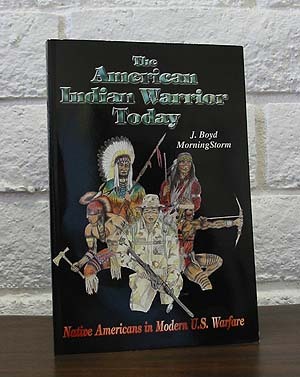 Warfare, by J. Boyd Morningstorm, published by the Sunflower University Press, 2004. Click here for review and photo credit.